I hope you're all well and enjoying the beginning of September . . . which will deliver us from the Mother of All Hot and Humid Summers. 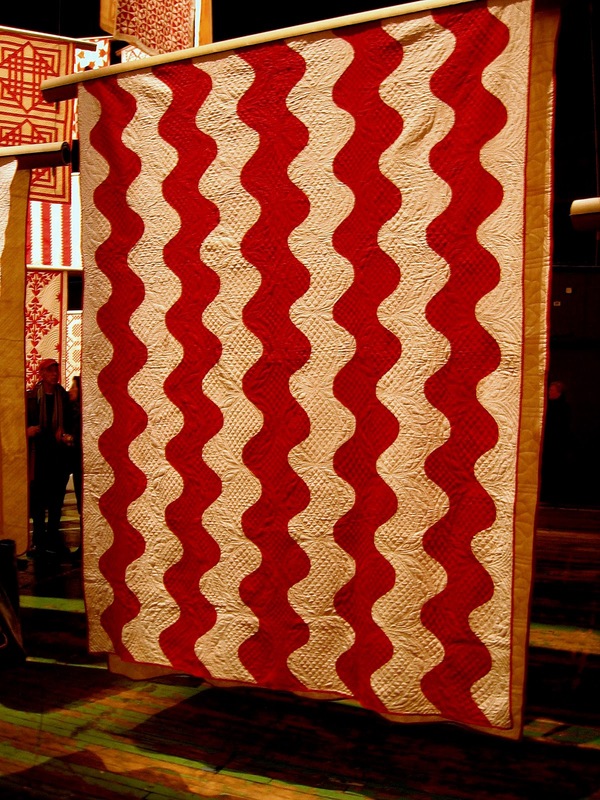 A few announcements: we have a new design in the works -- "Stars and Stripes Forever." I started work on it during July 4th, inspired by our nation's amazing birthday parties. I'll announce the finished design and post pictures after it's completed and framed. Wow, it's been a busy summer -- full of new work opportunities and "re-invention" strategies. I'm beginning to think that "re-invention" is survival, and vice versa. 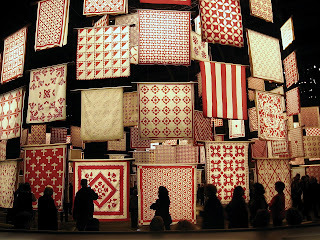 One of my summer projects (never-ending, it seems) has involved a total re-build of the Primrose Needleworks website. 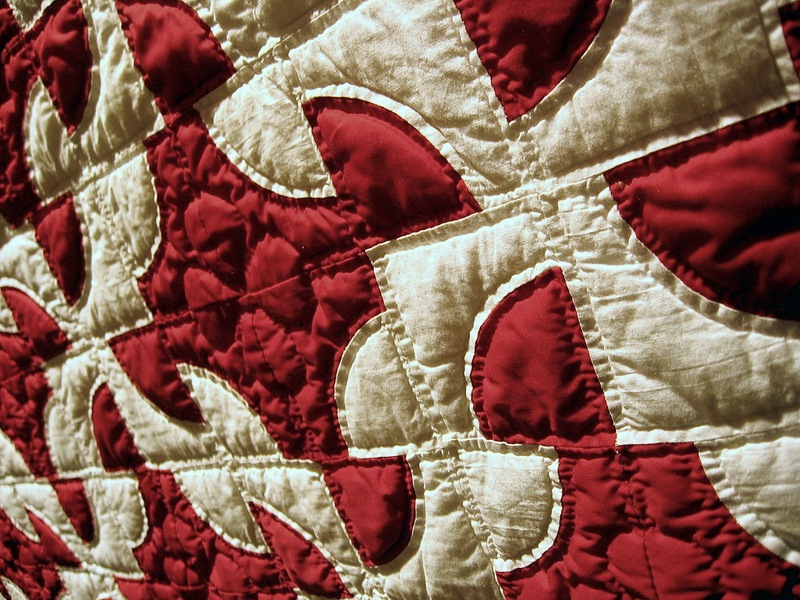 We've switched to a new host, and a Wordpress platform. The new space will offer a more robust environment for expression, photo posting, etc. It'll have a built-in blog, as well. I can't wait to start using it! 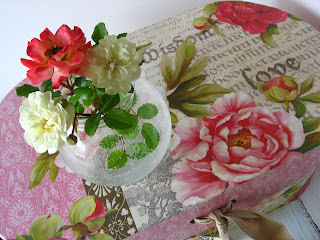 As long as there is an internet, this blog will remain in cyberspace. But to keep things simple, I'll shift my new blogging to the main website. I hope you'll join me there when it's finished. 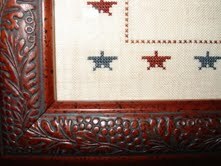 As for new releases: we've created an ornament ("Three French Hens") for the 2012 Just Cross Stitch Ornament edition . . . due out soon! Have a brilliant weekend and thank you for supporting us on this journey. Your encouragement made all the difference -- I couldn't have completed "272 Words" without you! Stitchers make the world go round, no? Good afternoon . . . I hope you're all enjoying the first summer weekend of the year. In ultra-typical New York City fashion, summer arrived -- wham-o! Overnight. After a very cool spring, we're looking at 100-degree days this week. Remember the days when we used to put away our summer/winter clothes? Not anymore. You just have to keep your Gore Tex hip-length parka next to the tank tops with the spaghetti straps . . . and dress accordingly. 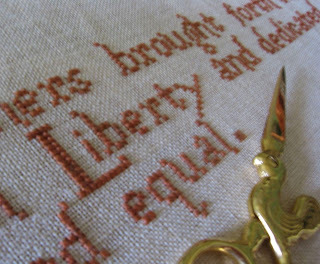 I did a wee bit of stitching this weekend . . . nothing major. Just a handful stars, which seemed appropriate this Memorial Day Weekend. 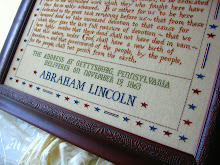 Do you find yourself reaching for "patriotic" stitching projects during national holidays? 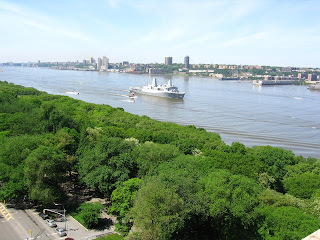 We managed to see a few ships that sailed into the harbor during Fleet Week. The ship that captured hearts is this one we spotted from our rooftop. 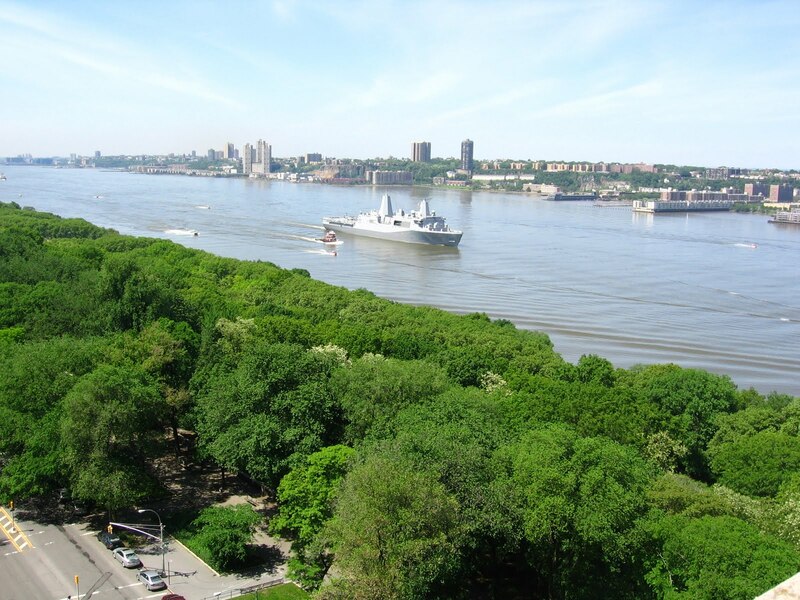 The USS New York (above -- click photo to enlarge) was commissioned into service in 2009. It was forged from tons of steel recovered from the wreckage of the World Trade Center. Is there a floss that color? If so, surely it must be called Battleship Gray! As you spend this day with your families and friends, I wish you a peaceful Memorial Day. Thank you for remembering the many men and women who have served our country. Warm hugs to you all. 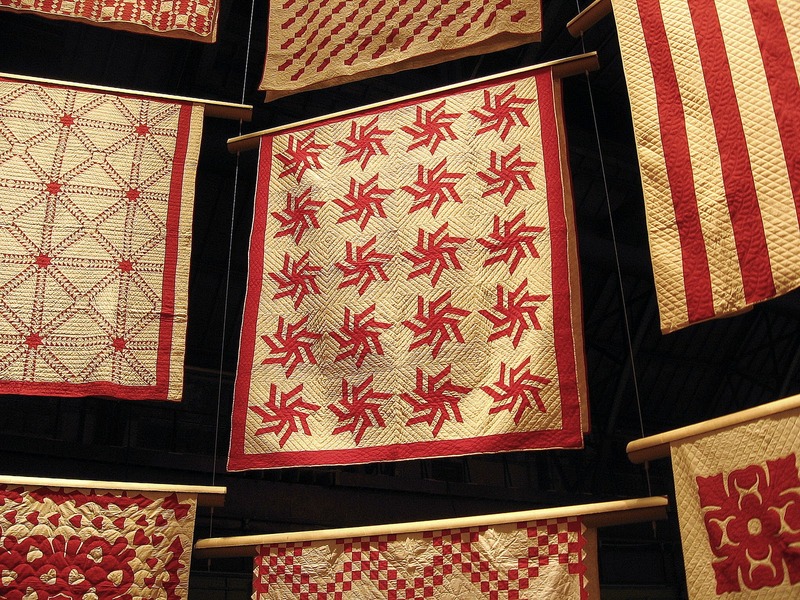 Calling all quilters . . . I'm in awe of your skills! 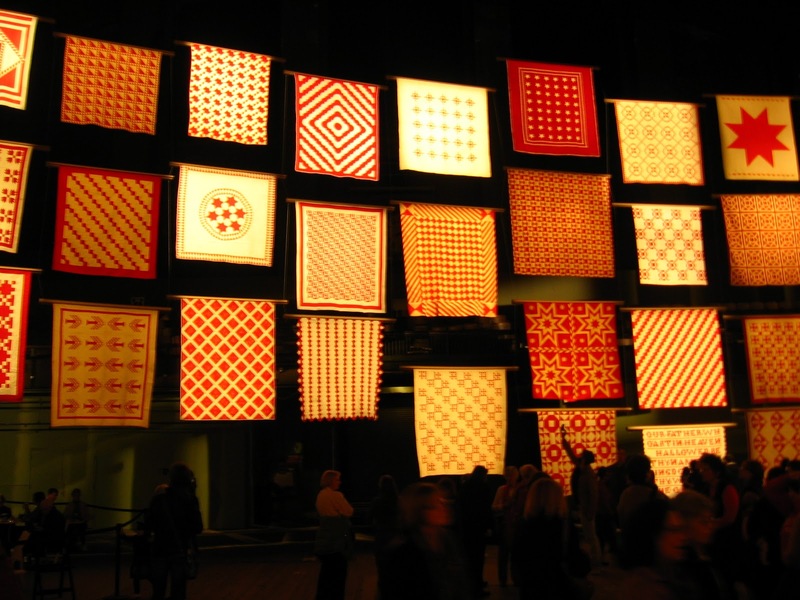 I'm not a quilter, but I have enormous respect for this art. 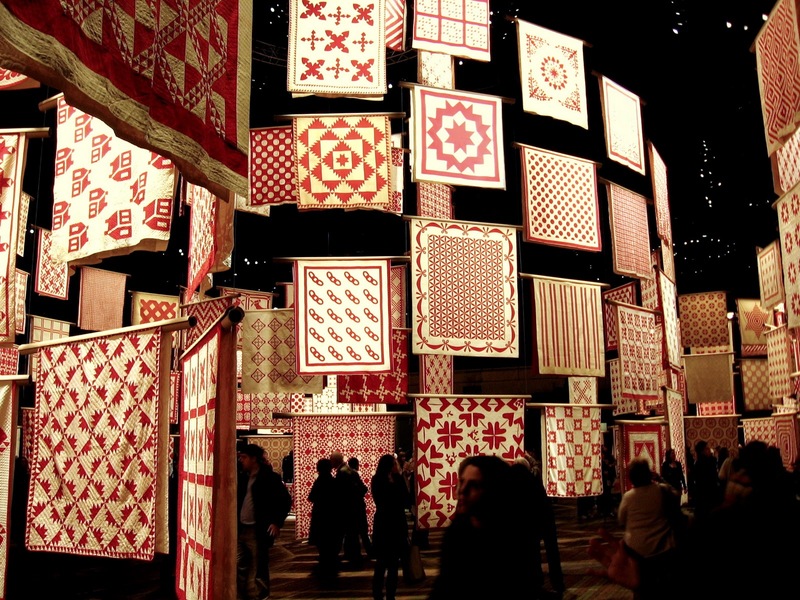 This exhibit of 651 red-and-white quilts (a birthday gift to the city of New York from collector Joanna S. Rose), drew massive crowds during its five-day run at the Park Avenue Armory. To see millions of hand-sewn stitches in one place made me so darned proud to be a stitcher. I enjoyed watching businesspeople on their lunch breaks (many of them men!) gawking in admiration at the handwork. That was the scene caused by The Joanna S. Rose Quilt Exhibit at The Armory this week. The multi-level, spiral display was extraordinary. My photos don't do it justice, but I wanted to share some favorite pieces. Afterwards, I walked home inspired, humbled and dreaming of making a quilt some day. 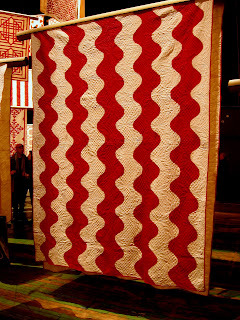 See the airplane quilt at the lower left? 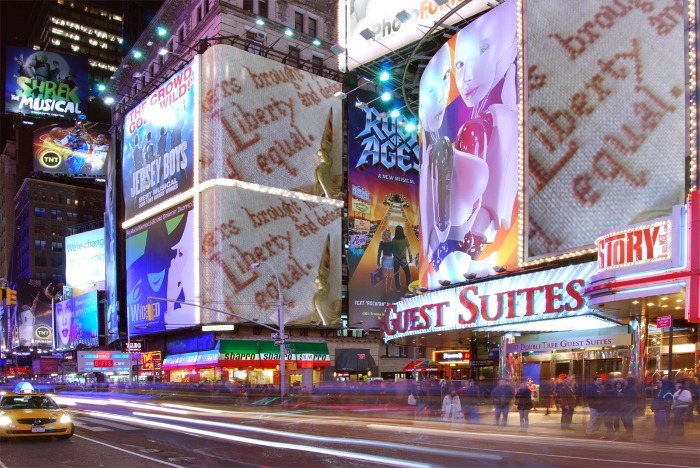 An article in today's New York Times reports on a photo-editing site called Photofunia. on the Great Pyramids or any number of venues. 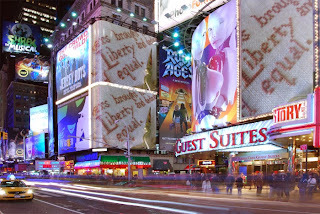 "Liberty," as President Lincoln envisioned it, makes a great billboard -- times three! Pets and children are a natural subject source. It's easy as pie. 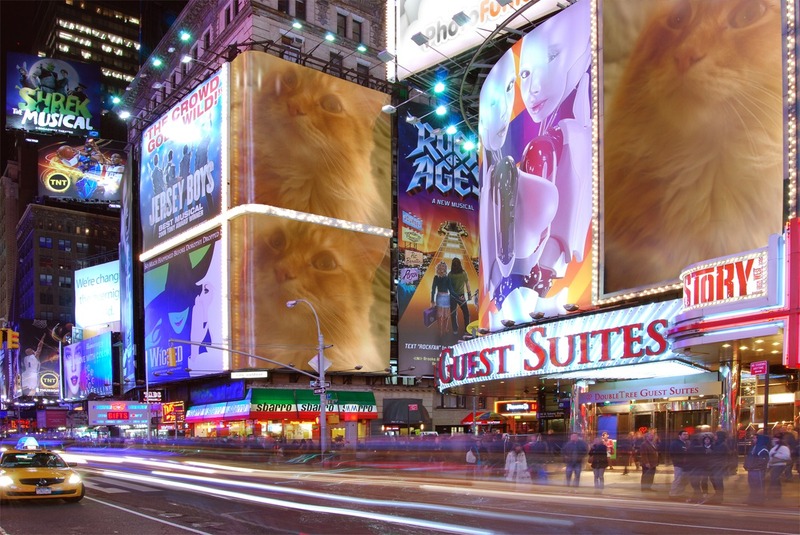 Simply upload your favorite photos onto their website, and within minutes your dog or cat will be on Broadway. 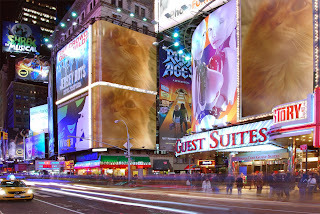 Photofunia is a cute diversion on a rainy day! Can you imagine Abraham Lincoln's Facebook page? He'd probably share tons of pictures of his kids and pets. He'd crack jokes every once in a while. But his main status message would probably be "Reading . . . "
It's a rainy day here . 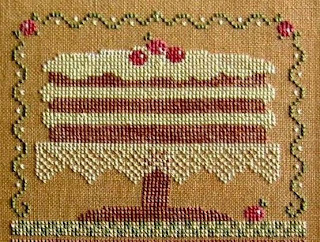 . . it's nice to stay in, pour a cup of tea and set up an official Facebook page for Primrose Needleworks. I hope you'll come by and say hello. Thanks everyone. Spring is just around the corner . . .
"Happy 202nd Birthday, President Lincoln!" 202 years ago today . 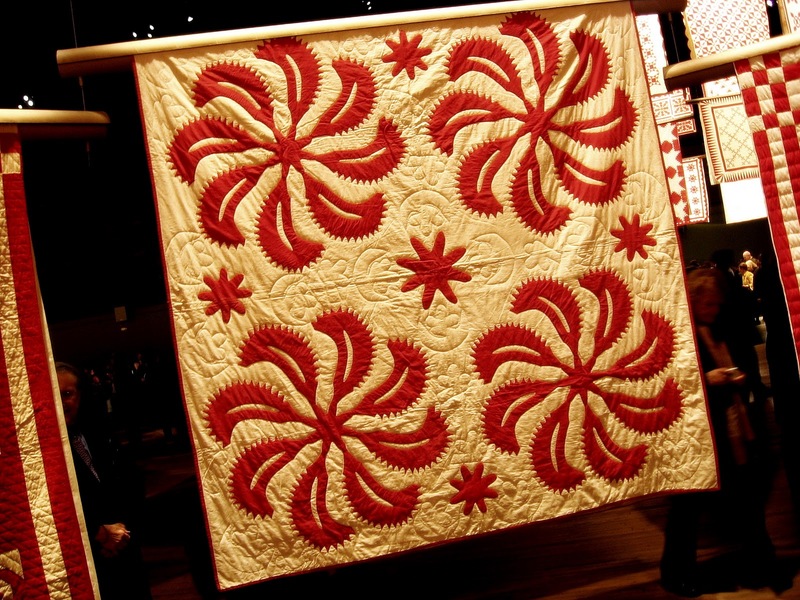 . . a baby was born in a one-room Kentucky log cabin. Abraham would grow up to be a farmer, rail splitter, store keeper, postmaster, flatboatman, surveyor, lawyer and 16th President of the United States. "I think Lincoln couldn't have chosen better words during that difficult period of our History to remind us that those that fell during combat did it to allow us to be free, all of us. I think as time carries on we tend to forget what has happened in the past. I think it's "All together fitting & proper" that we always remember those that gave their lives for our Freedom. The feelings that he spoke on November 19, 1863 remain true today." What's a birthday party without some music? 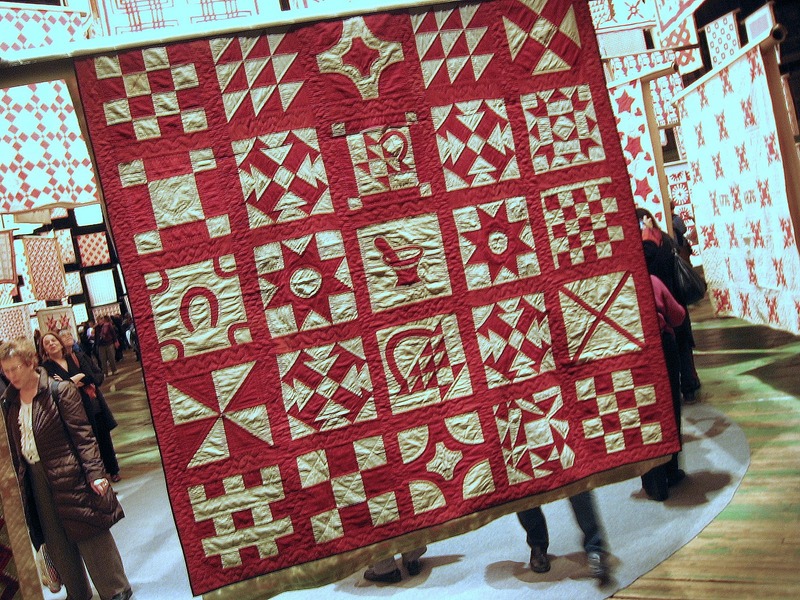 Here's the "Ashokan Farewell" (from Ken Burns's The Civil War). 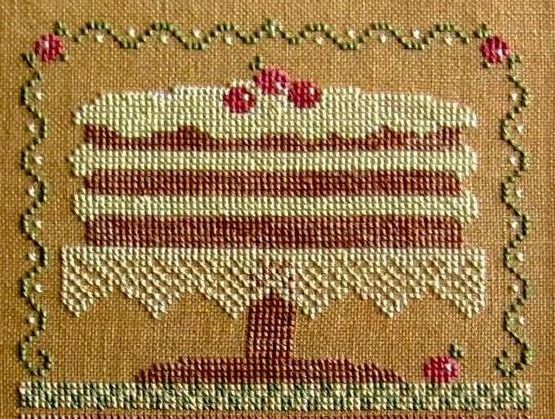 Now, how about a slice of cake? President Lincoln knew a thing or two about time management. I try to focus on one thing at a time, but sometimes life is overwhelming. My mind goes a mile a minute, and in all directions. Time to stop, make a cup of tea and . . . breathe. It is said that the young Yo-Yo Ma learned a Bach cello suite by memorizing one measure per day. Just one measure per day. Breaking down large projects into manageable pieces. That seems to be the trick. 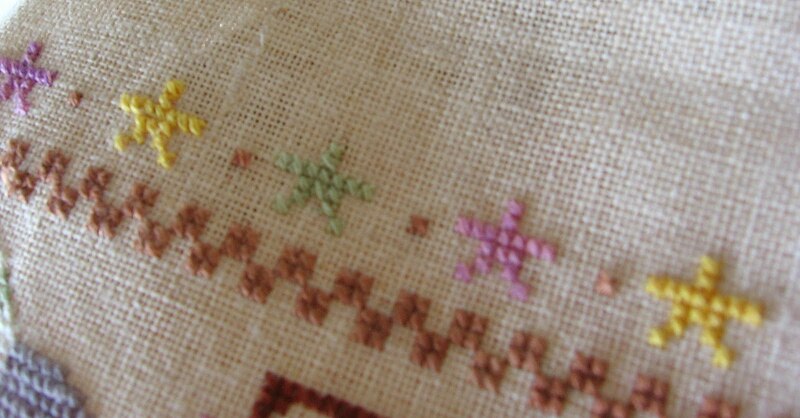 One thing that inspires me to no end is -- Stitchers Who Finish. I love cruising the blogs, admiring the amazing finishes of other stitching addicts. Their energy is contagious and maybe -- just maybe -- I'll get organized and finish that WIP that's been going since . . (gulp) . . . last March. Give me strength! Last week I heard from Jennifer K., who finished her own version of "272 Words." She provided these pictures of her completed journey. Well done, Jennifer! Thank you for keeping President Lincoln's words alive and fresh in our minds. Your "272 Words" finishes are important and ever-inspiring . . . please drop me an email if you've crossed the finish line. Or . . . if you're in the midst of stitching the piece, I'm equipped with bottles of chartreuse-colored electrolyte drinks and high-protein energy bars to vociferously cheer you on from the sidelines. Compression pants and sweat bands are available, as well. Having stitched the piece myself, I had my own "commitment" issues! (Maintain your energy levels with chocolate.) It's tough sometimes, but we all complete marathons in our own personal way. 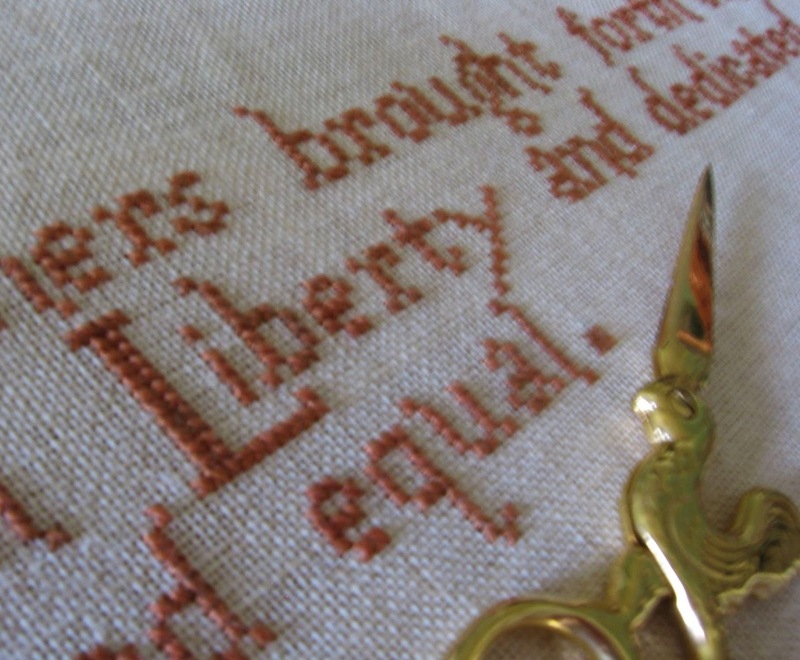 There's something about stitched words on linen . . . it's magic, isn't it? 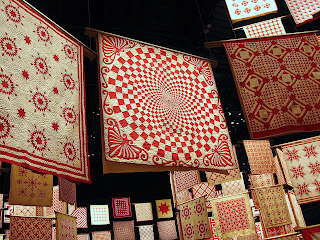 This blog is devoted to a single needlework design. On February 12, 2009--Abraham Lincoln's 200th birthday--I began designing a Bicentennial sampler titled "272 Words," featuring the full text of The Gettysburg Address. 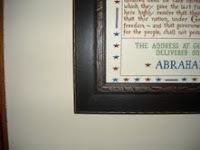 The goal was to finish by July 4th, and present a photo essay of the framed piece. Primrose Needlworks released the chart on November 19, 2009. 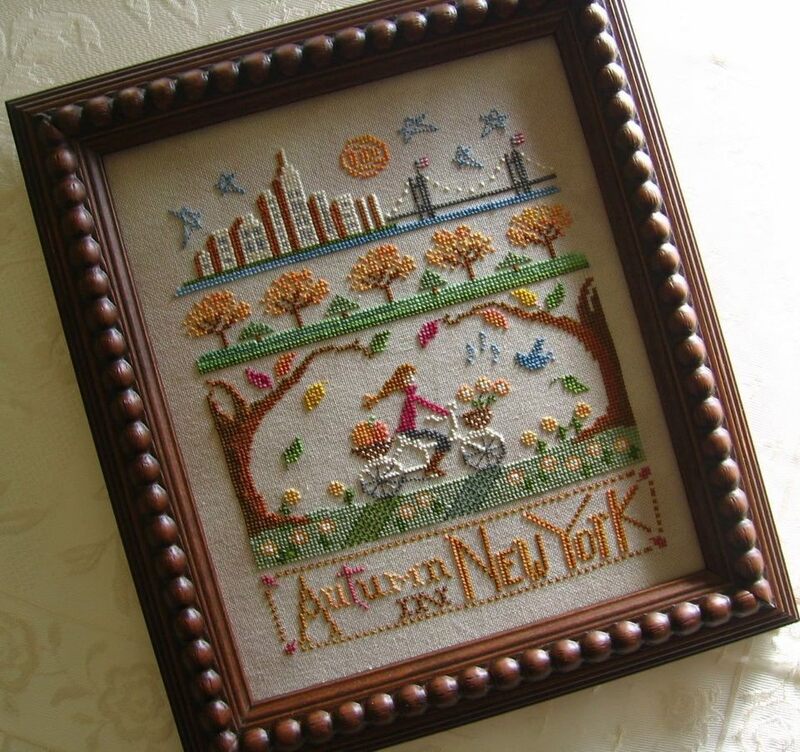 It is available for purchase at needlework shops. Join us, as we celebrate the extraordinary life of our 16th President. Welcome! Your Host . . . The chart for "272 Words" was released on November 19, 2009 and can be purchased at needlework shops. 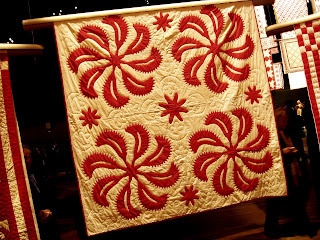 See the Primrose Needleworks website for details.